Who would you like to handle your financial affairs after you die? These are important questions because the answers directly impact you, your loved ones and any business associates you may have. So let’s see how a solution to each question forms the basis of a quality estate plan. Who would you like to inherit your assets? Currently around half of all Australians die without a Will – termed dying ‘intestate’. It’s a problem that can leave families struggling with complicated legal processes at a time of grief. The affairs of a person who dies intestate can be properly managed by someone who is granted ‘letters of administration’ over the estate by the probate court. However, it should be noted that intestacy can sometimes see a valuable legacy significantly eroded through court challenges and poor management by an executor. At worst, the way your assets are distributed could be determined by a formula set out by legislation. To see how this situation can occur from either a simple oversight, or not having a professionally prepared and up to date Will, let’s consider the key elements. To begin with, if you die intestate, your assets will be divided in accordance with the law of the state or territory you live in. While this varies slightly across the country there is a good chance the distribution formula won’t reflect your preferences. If you have separated, divorced, re-partnered or are part of a blended family, it’s almost certain that dying intestate will see your assets distributed in a way you had never intended. This explains why a Will forms the core of your estate plan. It gives you control over the legacy you leave behind by clearly spelling out who you would like to bequeath your estate to. This doesn’t mean a Will can’t be contested, and this can certainly happen if someone feels they should have been provided for and weren’t. However using a solicitor to draft your Will can go a long way to ensuring it will stand up to any legal challenges. To begin preparing your Will you need to think about your assets and who you would like to inherit them. Superannuation, including an allocated pension, is treated separately from your will so it’s likely you will need to make a death benefit nomination to indicate who you wish to receive your pension or superannuation funds when you die. It is important to note that assets that are owned jointly, such as family homes are also treated separately from a Will. Under joint ownership, the death of one owner simply results in the survivor taking on full ownership. Once you have decided how your assets are to be distributed, the next step is choosing an executor. This is the person responsible for putting your wishes into action by collecting and managing all your estate assets, paying taxes, debts and other expenses and distributing your estate in line with your Will. A testamentary trust allows you to specify the control of assets for a beneficiary(s). Its terms are set out in your Will and it is activated on your death. 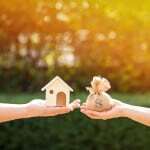 Instead of ownership of assets passing directly from one person to another, the assets are passed to the testamentary trust and then administered by a designated trustee – usually a family member, a trustee company, accountant or a solicitor. Having drafted a Will, be sure to keep it up to date. A Will should be altered each time a major life event occurs such as marriage or divorce, the arrival of children or grandchildren or if you acquire or dispose of substantial assets especially those noted in your Will. Minor changes can be made using a codicil (an attachment to your existing Will). For major changes, drawing up a new Will can make things clearer. There isn’t much point having a Will if no one knows of its existence or where it can be found.Let your family and other beneficiaries plus business partners know where your Will is, and keep an up to date record of your financial assets. This means securely storing details of your bank accounts, your pension account and other investments. This prevents your beneficiaries from having to become forensic accountants. Who would you like to handle your financial affairs? As part of your estate plan you may wish to nominate an enduring power of attorney. This is when you appoint someone who can manage your financial affairs on your behalf even if you are incapacitated. None of us like to think about becoming mentally incapacitated or being unable to make our own decisions. And hopefully, you may never need to rely on your attorney. The important thing is to be prepared. Making these decisions today will give you peace of mind for tomorrow. Here too you should appoint someone you trust, and it’s worth discussing your choice of attorney with your loved ones. Another step worth considering is whether you wish to appoint an enduring guardian. Your guardian’s role is to make medical and lifestyle decisions on your behalf. It’s easy to put estate planning on the backburner. After all, life is about enjoying the here and now. The problem is that none of us know what lies around the corner. That makes estate planning something to address today through open and frank discussions with those who matter in your life.